Devon Industrial Group (DIG) is a minority-owned construction company in the heart of Detroit, serving clients across the nation such as Ford, General Motors, Honda, and The University of Michigan. They pride themselves on quality, forward-thinking construction services. 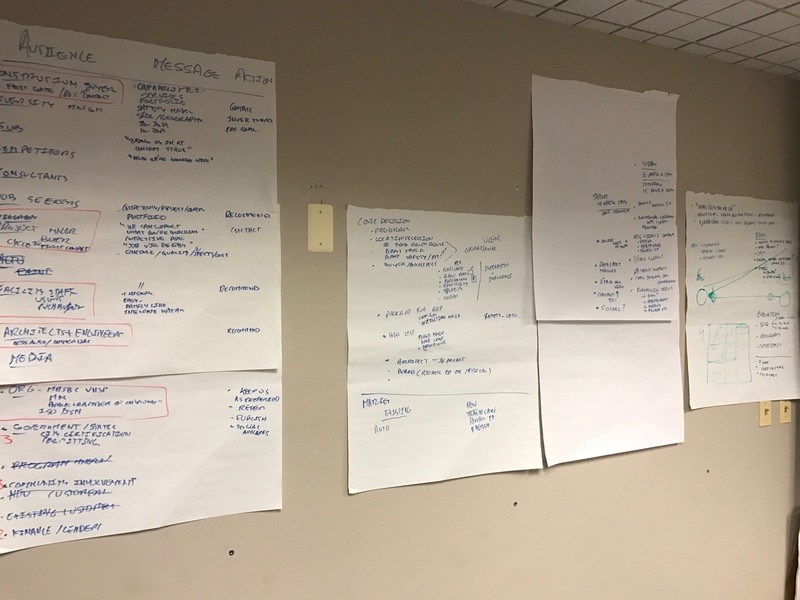 DIG initially approached Media Genesis in 2016 for short-term website maintenance, but the scope of our project quickly expanded to include a full website redesign. The planning stages of the overhaul were underway as we performed necessary maintenance for their previous site. Desired features included a WordPress CMS, advanced SEO, and a review of analytic strategies. We first implemented several functionality upgrades in the summer of 2016 and started the redesign process at the end of that year. This included not only a brand new look for the website and enhanced navigation, but also a custom theme and advanced search engine optimization. We then conducted a full analytics review and held an Audience Message Action (AMA) session with DIG stakeholders to identify key analytics strategies for DIG. With the goals of improving user experience, increasing user numbers, and highlighting new areas of the business so as to increase DIG’s clients, we started on the new design. To attract and retain users on the site, a visually appealing, attention grabbing, and easy-to-navigate website was necessary. 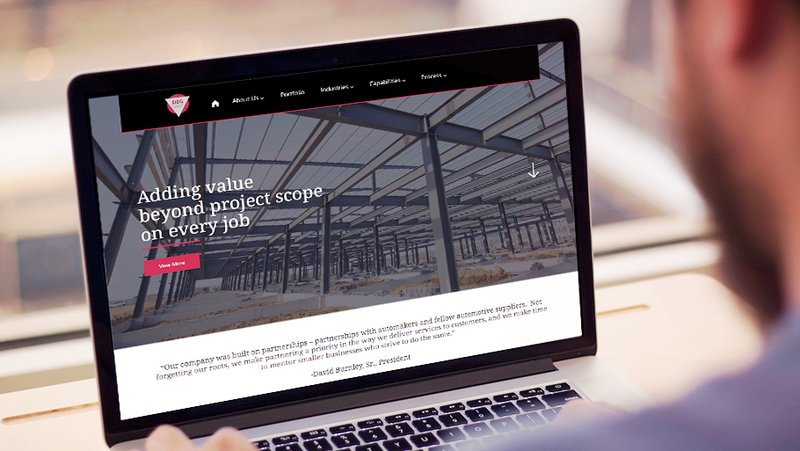 We created industry benchmarks and consulted with our client partners at DIG to help them choose a design that featured a large hero image at the top of the page and long scrolling pages to provide easy and quick access to information. This attractive and user-friendly design would ultimately reduce the bounce rate and increase the number of daily users. The original site navigation was not fluid or intuitive and the users had to click around too much before finding relevant information. Knowing that the main audience consists of busy construction buyers and large corporations, we prioritized quick access to information and designed the navigation bar with their needs in mind. This was an essential component for converting a website visit into a tangible contract for DIG. 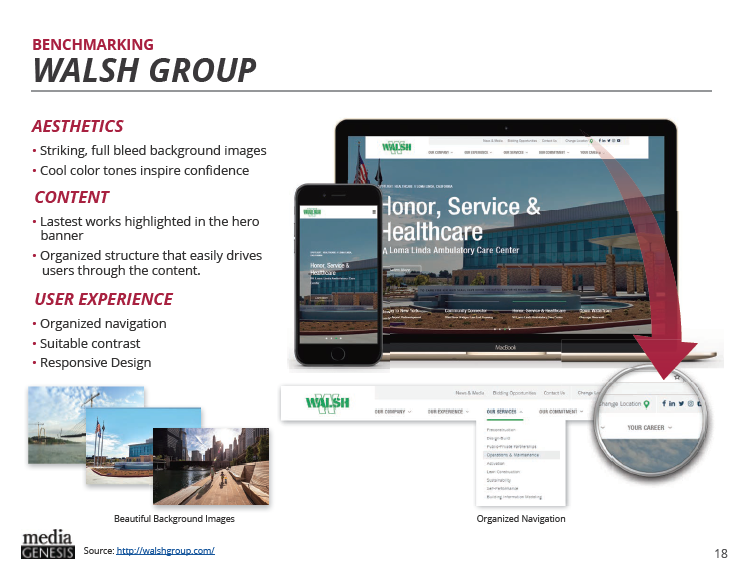 Site visitors can choose to scroll through the homepage for information and highlighted projects or access needed information via the top navigation. The dedicated area for subcontractors already working with DIG was moved from the top navigation to an easily accessible footer link. The main sections of each page are meant to engage the user longer and reduce the bounce rate. A user can start at the top of the page and scroll through each section or choose a sub-navigation item to anchor their position on the page. We also updated the services page to include “Capabilities” and provided a brief overview of each of DIG’s main specialties. This small but important addition clarified DIG’s core competencies and strengthened the potential for contacts and leads. Within the WordPress CMS, we provided DIG with a flexible portfolio system to feature projects that drive company goals. The DIG team has control and can easily update, add, or delete projects from the Portfolio page. Not only does the page give a brief overview of each project, but it also highlight projects that can be featured on the homepage to further engage users with content and promote conversions. Finally, to increase new client conversions, we implemented a contact form on each landing page so that a user can easily reach out to DIG at any point during their site visit. From the homepage, it’s a simple click to the Contact Us page to convert a site visit into a contact. After the project launch date, DIG had a modern, new website with a user-friendly navigation. These aesthetic and functional upgrades enhanced the user experience of their page and increased the probability that a site visit turns into a legitimate lead. Site visitors now have many easy ways to contact DIG and learn about their exceptional services.